A stunning photo of Winonah II with a "passenger" flying high! Is your source for cottage life in Muskoka Ontario and Antique and Classic Wooden Boats. Want to see your ad here? Ask us how. No doubt passengers on the Wenonah II were surprised and delighted when a stranger attempted to board the vessel in the most unorthodox means imaginable! Obsession is a 2i foot, 1946 Gar Wood, hull number 7115, a modified Speedster design, with a single single aft cockpit. Her bottom has been modified to a shingled/stepped hydroplane. She features a Honduras mahogany hull with Spanish cedar “steps”. 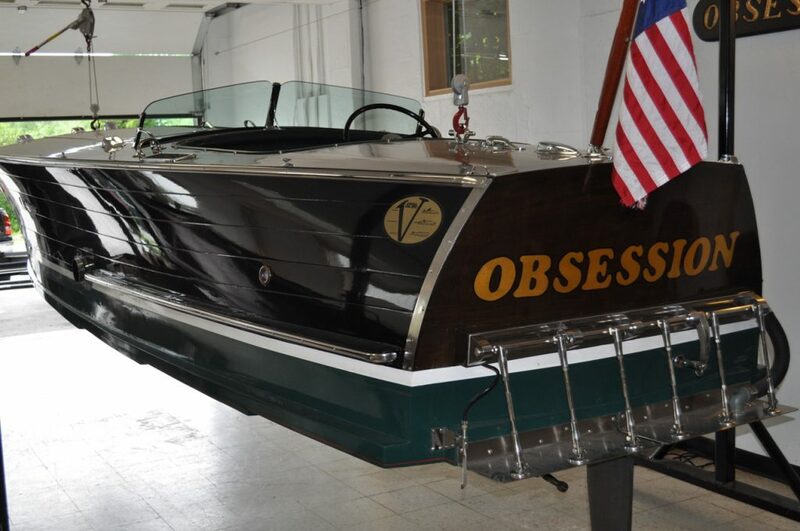 Obsession is powered by a Chevrolet 510 cubic inch marine stroker motor, boasting 630 HP!. WOW! Her prop is a Menkens high rake 3-blade, 13×17 cupped. Obsession has been tracked at 75 mph on GPS at the 2004 Detroit Gold Cup. 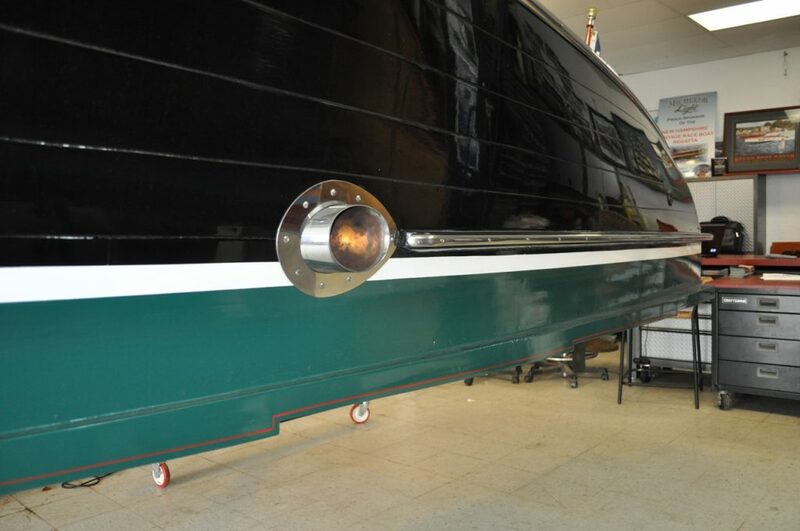 Let’s hope we see and hear her at the ACBS Boat Show in Gravenhurst this coming Sat July 9th, 2016. 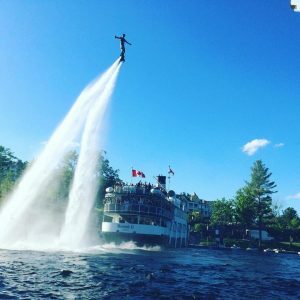 ← Cruise the Muskoka Lakes with a classic wooden boat rental! 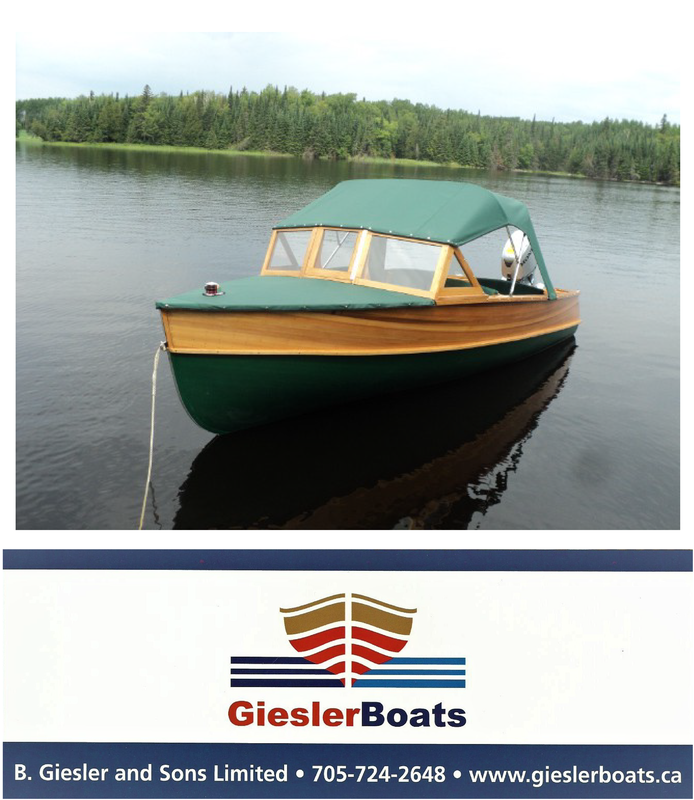 Our newest listing: a Kavalk Gentleman’s Racer: 19 ft.
© 2019 Port Carling Boats. Please be respectful of photo rights. Some of these photos are original from Port Carling Boats. Some are not and we were given permission to use. If you want to use one, please contact us. Thanks. Port Carling Boats.